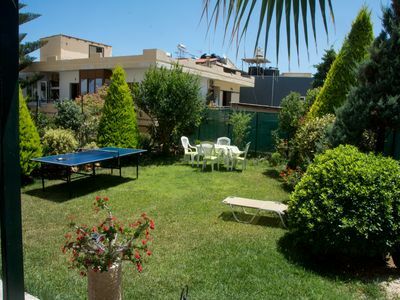 The small, traditional village Aghia Triada is located slightly inland from the coast, approx. 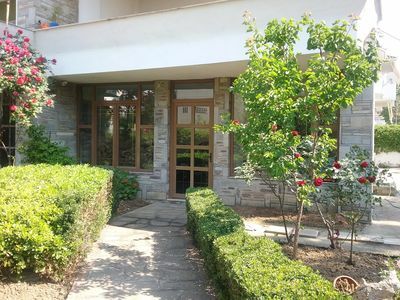 10 km away from Rethimno, at the foot of the Psiloritis mountains. 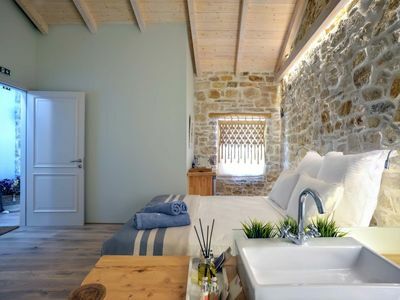 The family-run property ODEON is set in a sloping landscape between dense olive groves and vineyards with a view across the fertile valleys of the Rethimno region. 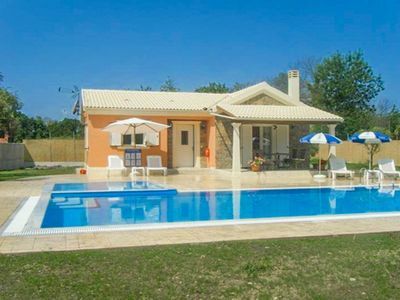 The 6 detached villas are set on a huge area above the village in a beautiful hillside location. Each villa has a separate driveway, private pool and garden property. 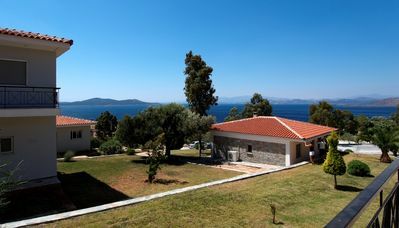 The holiday houses THISSEAS 1-2 and the villa ASTRO can be booked through us. 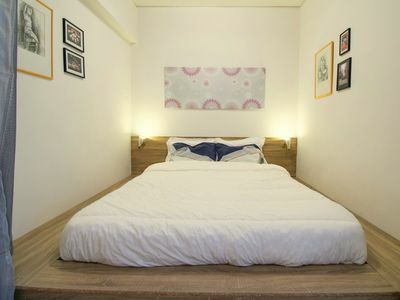 The special prices for 2 persons during off-peak season for THISSEAS 1-2 are very attractive for couples who want to spend a holiday in this large house. 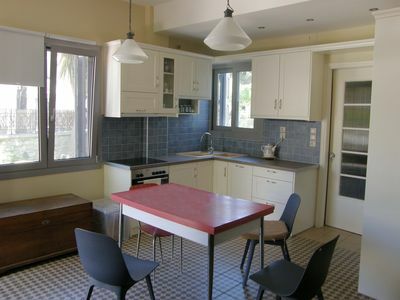 The comfortable holiday house THISSEAS 1 is built in the regional style of Cretan farm houses. The massive construction and the wooden beams and floors in the house create a rustic atmosphere. 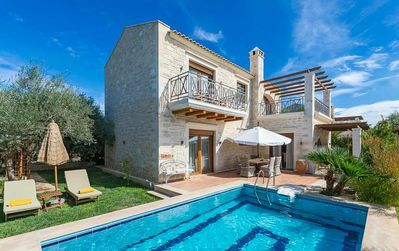 A well-groomed garden with lawn, trees and Mediterranean flowers, a high-quality paved terrace in front of the holiday house and the oval pool complete the picture of this beautiful stone house. This two-storey house is comfortably furnished and lies in a quiet area - simply perfect for spending an unforgettable relaxing holiday. 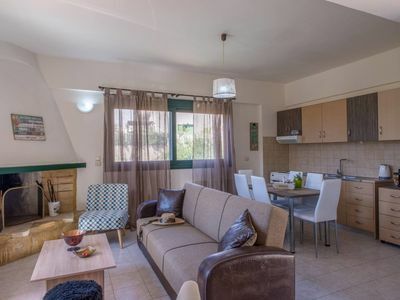 On the ground level of the holiday house is the living room with adjoining open kitchen, followed by the spacious bedroom and a barrier-free bath (no handholds). 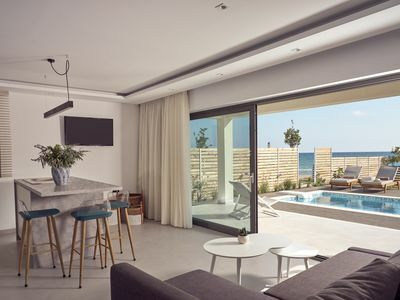 From the living room and the bedroom you have level access to the terrace, the garden and the pool. 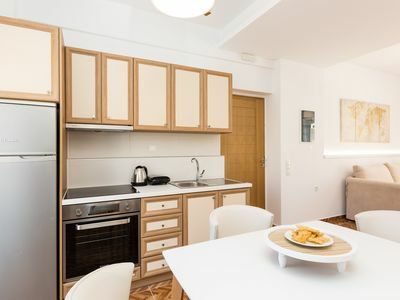 On the first floor are 2 bedrooms with a private bathroom each. 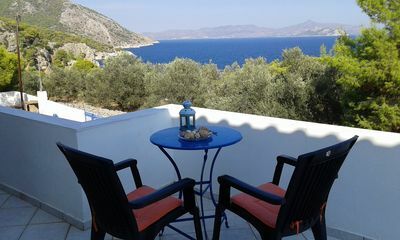 From both bedrooms you have access to a separate balcony with a beautiful sea view. The 34sqm pool (4.5 x 8m, 1.50m deep, non-heatable, in operation from 1.05.-31.10.) is ideal for refreshing bathing fun. 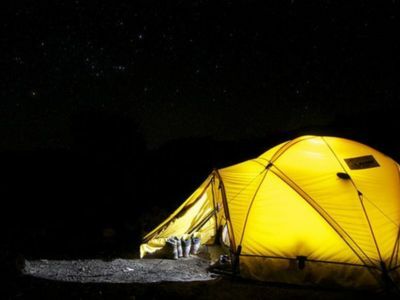 This holiday domicile is ideal for you if you want to spend a holiday in a quiet, well-maintained, comfortable atmosphere far away from the touristic hotspots. Rethimno with its extensive promenade is not far away and ideal for sauntering. The small picturesque Venetian harbour with the small boats and lined up taverns is rather touristic but very charming an atmospheric. The pedestrian zone in the ancient city centre has beautiful narrow alleys with old traditional houses and is perfect for shopping and going out in style. 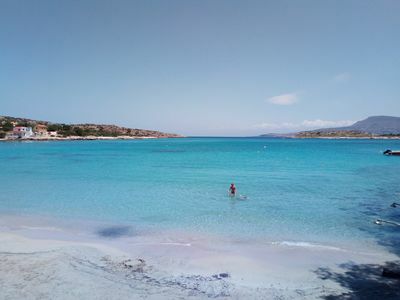 The 10 km long sandy beaches at the coast of Rethimno that stretch in north eastern direction offer a wide selection of beach bars and also some natural beach sections. 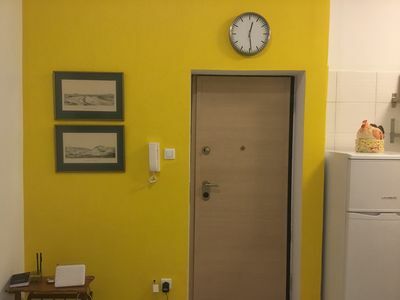 Room in rural accommodation 250 of beautiful sandy beach. Παραδοσιακός πύργος, χτισμένος το 1827. 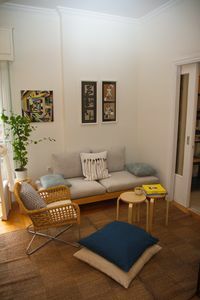 Elegant & Sophisticated Apartment in the Center of Athens.